Amortization refers to apportionment of the intangible asset’s cost over the asset’s estimated useful life. It is very much similar to depreciation. Difference between the two is that the depreciation is charged on tangible assets and amortization is done on intangible assets. Purpose of both the term is to reduce the cost due to usage or obsolescence. Large expenditure of the company is also spread over a number of years on proportion basis. Thus, it reduces the taxable income of the firm. In other words, it can be called as payment of debt in regular installments over a period of time. In amortization, writing up of an asset is done by merging the cost of the asset with the revenue it generates. Amortization of loans refers to proportionately spreading of the principal and interest amount in equal installment over a number of years. It is not like other repayment modes, amortization of loan includes principal as well as interest amount. Payments are divided into equal amounts for the duration of the loan, making it the simplest repayment model. Interest is generally greater at the beginning and principal amount is greater at the end. P = Principal amount, A = Periodic Payment, r = periodic interest rate divided by 100 and n= total number of payments. Negative Amortization- It is the amount which is not inclusive of interest. Interest amount due becomes outstanding loan amount at the end which makes it larger than the original one. Amortization of intangible assets refers to spreading of acquisition cost minus residual value over their estimated useful lives. 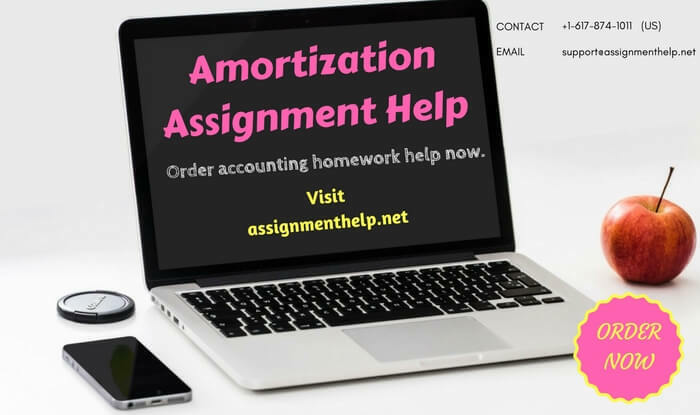 Method for applying amortization is same as it is for depreciation. Though assets like goodwill have an indefinite useful life. It is recorded as the decrease in the value of asset and an expense in the income statement of the company. IAS 38 guides accounting for amortization of intangible assets. Methods Only Straight-Line Method Generally, methods which accelerate the amount of depreciation are used. Salvage value No resale value. Has resale value. Reduction Directly reduces the intangible asset value. Indirectly reduces the tangible asset value. Example Goodwill, Patents. Machinery, Furniture. Now get the best, reliable and affordable online accounting help with online accounting tutors. Whether you want to learn accounting basics, want to understand accounting equations for your accounting test, looking for accounting tutors for payroll accounting, accounting information systems, problem solving help with MyAccountingLab homework * or simple need an accounting coach to help you with answers to homework in accounting 101 course and we have got you covered. Order accounting homework help now.